American Graduate Day 2017 | Saturday, October 14, 2:00 - 6:00 p.m.
Join Maryland Public Television for a live, multi-platform broadcast designed to raise awareness around the high school dropout crisis and highlight the importance of mentorship in the lives of youth. Throughout the day viewers will also learn about diverse pathways to career success and workforce development opportunities. The program brings together thought-leaders, journalists, celebrities and organizations for an inspirational day of discussions, compelling testimonials, live performances, and interviews with youth advocates and mentors. Viewers will be inspired by the triumphant stories of youth overcoming difficult obstacles to succeed in school, and life, and meet American Graduate “Champions” from Maryland making a meaningful difference on the local level. Segmented into six content strands, the day’s topics include: Early Education, More and Better Learning, STEAM, Special Needs, Dropout Prevention and Re-engagement, and College and Career Readiness. As part of the special day of programming, MPT gathered helpful resources to coincide with each theme, plus additional content to support youth and families in Maryland. > Learn more about the national American Graduate Day broadcast. Starting children on a solid foundation for learning has tremendous benefits. Children participating in quality early education programs have a broader vocabulary, do better in math and reading, and have more academic success throughout their schooling. Without quality early learning opportunities and programs, children start school behind their classmates and continually struggle to catch up. Not every student fits into mainstream educational programs and schools. Sometimes it is difficult to succeed if you have outside factors standing in the way. Whether the situation involves caring for a sick parent, facing difficult circumstances at home, or having to work a job while going to school, it's not always easy to keep up! There are a variety of alternative learning programs and options designed to meet the needs of diverse students and youth. Visit the Baltimore County Public School website to learn about alternative placements and educational options for children and youth. Baltimore City Public Schools provides students with access to the programs they need to succeed academically, and in life. Explore options ranging from neighborhood schools and alternative programs, to public day schools and a Career Academy. Baltimore City Public Schools offers alternative options and programs for middle and high school students to help them get back on track. From career and youth academies, to the “second chance” Baltimore Community High School, students can find one of many ways to succeed. Child First Authority is committed to closing the opportunity gap for children in Baltimore City by providing high quality after school and in-school programs. Find everything you need to know about early education in Baltimore, including information about Judy Center's, PreK and Kindergarten curriculum, and important dates and resources. MOST is a statewide youth development organization, dedicated to more and better opportunities in the out of school hours for all of Maryland's young people. YO! Baltimore serves out-of-school youth and young adults citywide at two youth-friendly centers. Caring adults provide wide-ranging support services and opportunities for participants to reach their academic and career goals. Children with special needs deserve quality time and attention, respect and supportive services to meet their unique needs. Maryland has a variety of programs and opportunities to help each child be the best he or she can be. The Office of Special Education works to improve the performance of students with disabilities and narrow the achievement gap by ensuring equal access to the curriculum and differentiated instruction in the least restrictive environment (LRE). Search through a comprehensive database of resources and programs for special needs families. Connect to an organization that provides free educational advocacy services for Jewish children with special needs. They support children from birth to age 21. Preparing today’s students for careers in Science, Technology, Engineering, Arts and Math (STEAM) is more important now than ever before. With the shift to a technology-driven society, students and children will need to learn and apply new skills to succeed in school, college, and as they enter the workforce. 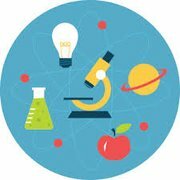 Maryland Public Television has developed a variety of standards-based resources and learning activities to support STEAM learning and teaching in these critical areas. Learn more and get started today! Pop into PBS LearningMedia for inspirational videos and activities for the study of the arts. Concepts include: shape, space, color, line, form and value. Bring the habitats and creatures of the Chesapeake Bay right into your home with Thinkport’s award-winning online field trip. Your children will learn about a bountiful local bay through exciting online activities and conducting experiments in a virtual lab. Math on a mission! Students enter an underground factory inhabited by quirky creatures to math skills including: proportion, ratio, numbers, operation, fractions. Watch your children’s imagination soar as they design elements of a virtual park and environmental center using geometry and measurement. Children gain knowledge and practice as they work their way through fun tasks such as; placing a pond in a park, adding obstacles to a fitness course, and sprucing up a basketball court. Point your teenagers to the Port of Baltimore to learn about innovative technologies and exciting careers at Baltimore’s bustling transportation system. It’s a great way to get them thinking about the job market. The site includes interactive challenges, videos and educational supports. Visit MPT's educational portal Thinkport.org for innovative science activities and online learning adventures. Learn about the Chesapeake Bay, oceans, protecting whales, climate change and much more. Show your students the importance of STEM (Science, Technology, Engineering and Math) in everyday learning with a collection of skill-building activities from MPT's education department. Visit MPT's education portal Thinkport.org for more educational resources, activities and multimedia. Local and national organizations are working diligently to reduce the dropout rate, increase the graduation rate, and expand learning opportunities for youth. Learn about a variety of programs and resources that are enhancing educational outcomes and opportunities for children and families in Maryland. ACY protects the rights of children in aspects of health, justice, education and welfare in Maryland and building positive childhood experiences for generations to come. Baltimore City Public Schools offers a wide range of opportunities and programs to meet students’ educational needs and/or earn the equivalent of a high school diploma. These programs are designed for students who have fallen behind, have difficulties succeeding in a traditional environment, or are going through difficult family/life circumstances. Explore accelerated pace programs for middle and high school students to help them get back on track. From career and youth academies, to the “second chance” Baltimore Community High School, students can find one of many ways to succeed. Chesapeake Center offers educational, vocational and clinical case management services to at-risk youth (ages 15-18) in Baltimore City and the surrounding counties. Chesapeake Center offers small alternative classrooms for court involved youth as well as youth who are not court involved but need credit recovery. Get connected to MSDE’s dropout prevention coordinator and see what programs and services are available in your area. Each local school system (LSS) has developed strategies to address dropout prevention. Visit PBSLearning Media's classroom resources and content to support teachers, parents, caregivers and mentors who are helping at-risk students overcome key learning obstacles on the path from preschool through graduation. Learn about the League’s community and school engagement strategy that builds partnerships with schools in order to give students access to vital educational and non-educational services. The organization also provides food-access programs and an initiative to improve the health of babies and mothers. House of Hope Maryland is a non-denominational, not for profit Christian organization committed to serving teenagers in need, and offering hope and support to their families. YO! Baltimore serves out-of-school youth and young adults citywide at two centers. Adults provide support services and opportunities for participants to reach their academic and career goals. Baltimore's violence prevention organization recruits volunteers from across the spectrum of the community to engage in violence prevention and deterrence activities. 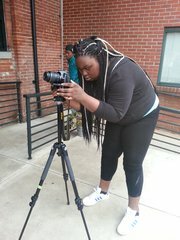 In 2015, the organization created the 300 Youth COR, a group of Baltimore City adolescents ages 15 - 19 that are equipped with the knowledge, skills, confidence and motivation to minimize their risk for involvement in violence. Maryland’s new educational standards help students build the skills and knowledge they will need to be prepared for college-level coursework and the demands of the 21st century workplace. These standards help provide a solid foundation for students to succeed in the future. Baltimore County’s valuable program provides students with relevant career skills preparation and academic course work designed to prepare students for the 21st century global economy. BridgeEdU is a unique first year college program that combines core academic courses, real-world internships and service experiences, with the coaching to help students succeed in academics and life. BridgeEdU Scholars will have the opportunity to earn 20+ transferrable college credits. Explore interactive classroom resources and content to support teachers, parents, caregivers and mentors who are helping at-risk students overcome key learning obstacles on the path from preschool through graduation. Find tools and toolkits, resources and research, articles and best practices for college and career success. The Division of Career and College Readiness (DCCR) provides leadership to promote quality career preparation and lifelong learning for Marylanders. Watch videos about a variety of careers, meet people working in different careers and learn more about what they do, and find career connections. The Youth Services team engages youth in activities that focus on greater academic achievement, real world employability skills and applicable life skills.